NEW DELHI: They seem to have got it right this time. 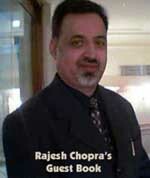 Rakeysh Om Prakash Mehra's pop depiction of new-age patriotism will represent Indian cinema at the Oscars 2007 in the best foreign film category. And India's official entry this time seems to have popular sentiment backing it, unlike recent times in the past when the selection committee's choice often left people puzzled. On an Indiatimes poll that asked which of the three blockbusters this year -- Lage Raho Munna Bhai , Krrish and Rang de Basanti -- should represent India at the Oscars, 55% of the respondents picked the latter most. A not so insignificant 37% felt Lage Raho Munnabhai should go to the Oscars, while a small 8% voted for Krrish . Some of the comments that accompanied the polling, made it clear that RDB was the pick in a year when patriotism, Gandhism and the like are the new hot trends among the gen-next. 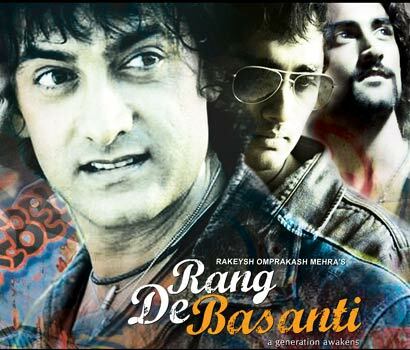 Readers said Rang de Basanti should go to the Oscars because "RDB has some message for the public." "It is Rang de Basanti ...," said a reader succinctly, echoing the popular sentiment. Another explained: " Lage Raho Munnabhai ( LRM ) and Rang De Basanti ( RDB ) are based on Gandhian principles. Also, both talk about the change in youth's attitude, but RDB talks about it seriously which everyone listens to, whereas LRM talks about same thing and everybody forgets it once the movie is over." Another said it was "far better than any movie I have watched in decades!" And yet another added: "I think this is gen-next movie. This is really a cool movie to awake the generation. So this movie should be India's entry to the Oscars. "The film portrays today's corrupt political scenario the world over. And tells today's young generation to fight against it," said a reader, endorsing his pick. And another comment read: "Well, RDB doesn't only portray the young and rebellious attitude of the youth, but also gives the message of patriotism through its characters. The impeccable script with mind blowing performance gives everyone a chance to ponder and act."